Heisig’s method focuses only on you learning the writing and rough meaning of each character. While it may seem that not working on the Japanese/Chinese readings renders Heisig’s method incomplete or even useless to some people, the method focuses exclusively on the recognition and writing of the kanji/hanzi for a very specific and important reason. People from China/Japan are already familiar with most kanji/hanzi characters, and relate each one of them to a certain concept in their own language. Thus, already knowing how each kanji/hanzi looks like, and what they mean, they only need to learn how to read them in the other language they want to learn. 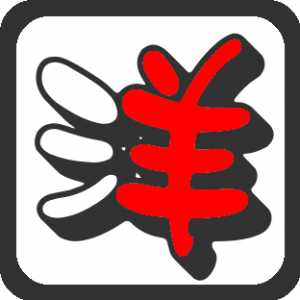 Free, open-source Chinese character data . 80% of all Chinese characters are made up of one semantic component (meaning) and one phonetic component (pronunciation). The sheer number of characters formed this way means that these characters ought to be taught properly, yet I think this topic is largely glossed over. This is the first article of two dealing with phonetic components and how they can help you learn Chinese better.